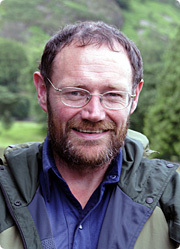 Paddy Dillon is one of Britain's most prolific outdoor writers and photographers. He has travelled extensively, writing and illustrating thousands of magazine articles, contributing to several outdoor titles over the years. He has written and illustrated over 90 guidebooks, covering walking areas and long-distance trails, along with contributions to 40 more publications. He is President of the Backpackers Club. Paddy's travels have allowed him to explore an incredible range of landscapes, ranging from coast to high mountains, semi-deserts to arctic ice sheets, lush green forests to farms and fields, all explored while enjoying anything from short strolls to arduous long-distance treks. Wherever he walks, Paddy takes copious notes and plenty of pictures, ready for rapid publication after returning home. While Paddy's travels can take him anywhere, home is on the fringes of the delectable English Lake District, which is visited through the changing seasons, in all kinds of weather. Feel free to browse around Paddy's website, checking details relating to his guidebooks and other activities. Publishers and editors looking for up-to-date and detailed coverage of walking routes and walking areas should contact Paddy to discuss their ideas.